Verizon might rescind its $4.8 billion offer to buy Yahoo, in part because of the damage resulting from the colossal hack of Yahoo customers, the technology company said Wednesday. Yahoo (YHOO) said there's "no assurance" that Verizon will actually go through with the deal, according to its latest filing with the Securities and Exchange Commission. The filing also revealed that it's "facing investigations by a number of federal, state, and foreign governmental officials and agencies" over the hack -- and these could result in "potential fines." Verizon defended the deal in late October at a Wall Street Journal Digital Conference, arguing that it "absolutely" still makes sense. Verizon offered to buy Yahoo's core internet assets in July. But two months later, Yahoo shocked its potential buyer with news that "at least 500 million" Yahoo user accounts had been stolen by a hacker in 2014 -- one of the largest consumer hacks ever. 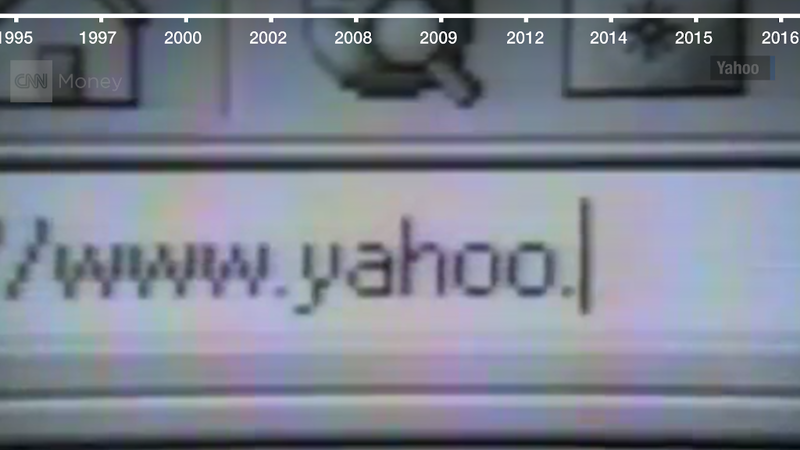 Yahoo alerted the public a couple of days later. Yahoo has since been hit with 23 consumer class action lawsuits over the hack, according to the company. Hackers were able to steal a list of customer names, email addresses, telephone numbers, birthdays, security questions and encoded versions of passwords. Verizon (VZA) now "may seek to terminate the stock purchase agreement or renegotiate the terms of the sale" because of the "security incident," Yahoo warned investors in Wednesday's filing. Yahoo stressed in its filing Wednesday that the hack is not having a "material adverse impact" on its business. "We are confident in Yahoo's value and we continue to work towards integration with Verizon," a Yahoo spokesperson told CNNMoney. The tech company's stock value didn't immediately shift on the news. Yahoo blames a government for hacking into its computer network saying that its attacker was "a state-sponsored actor." Yahoo has struggled under the leadership of Marissa Meyer. Under Mayer's direction, Yahoo has acquired dozens of startups -- and spent lavishly on hiring celebrity journalists. But its bets haven't paid off. One of its most notable assets, the social network Tumblr, has struggled for years to make a profit.